67. What is Enterprise Risk Management (ERM)? 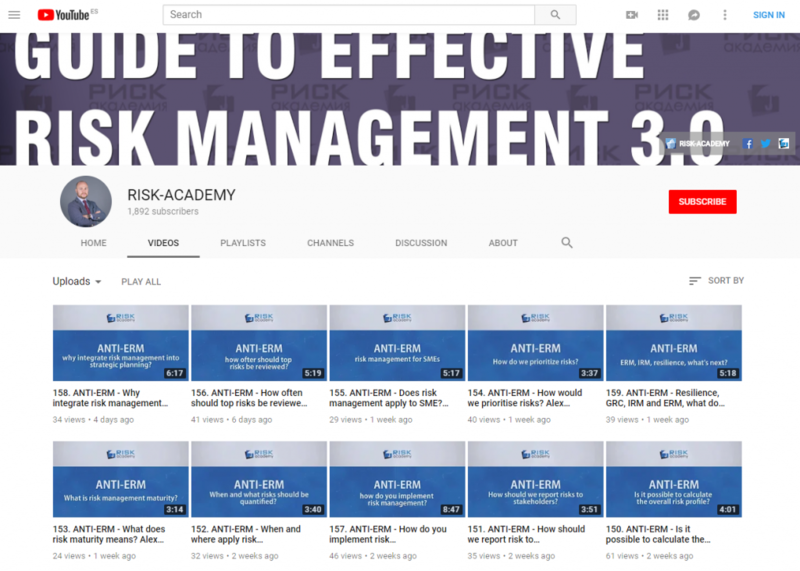 Alex Sidorenko from RISK-ACADEMY shares his views on what does ERM means to him and how the term has been way overused :)) At RISK-ACADEMY we have compiled free videos of lectures, seminars and interviews with Russian risk managers, as well as free templates and examples of the tools required for the implementation of elements… Continue reading 67. What is Enterprise Risk Management (ERM)? Alex Sidorenko from RISK-ACADEMY talks about risk culture in this short video. What if instead of calling it risk culture, we should instead think of it as integrating risk management principle into the overall corporate culture of the organisation. Learn more about integrating risk management into decision making, planning and performance management: https://www.udemy.com/course/1687492/ Download the… Continue reading 60. Should it be risk culture or integrating risk management principles into the corporate culture? #ChangingRisk – Risk management used to be a science, then it became an art, what’s next? Latest views from Alex Sidorenko on how “innovation”, lack of competencies and consultants are killing risk management in non-financial organisations and what’s next updated in 2019 specifically for Strategicisk https://www.strategic-risk-europe.com/risk-management-used-to-be-a-science-then-it-became-an-art-whats-next/1429754.article. First there was science… Some sources suggest probability theory started in gambling and maritime insurance. In both cases the science was primarily used to help people and companies make better… Continue reading #ChangingRisk – Risk management used to be a science, then it became an art, what’s next?